Realizing that mechanization and high mobility were going to be key factors towards battlefield success in any future wartime scenarios, the German General Staff set out on a modernization program to reorganize the main thrust of the Wehrmacht's might around its tank corps. While initial efforts in this direction resulted in the concurrent development of a halftrack vehicle for infantry and artillery use along with the development of the earlier marks of Panzers (tanks), it was soon realized that the armor protection provided by this vehicle was not suitable for the battlefield requirements of the new motorized infantry or "Panzergrenadier" tactics then under development by the Wehrmacht. 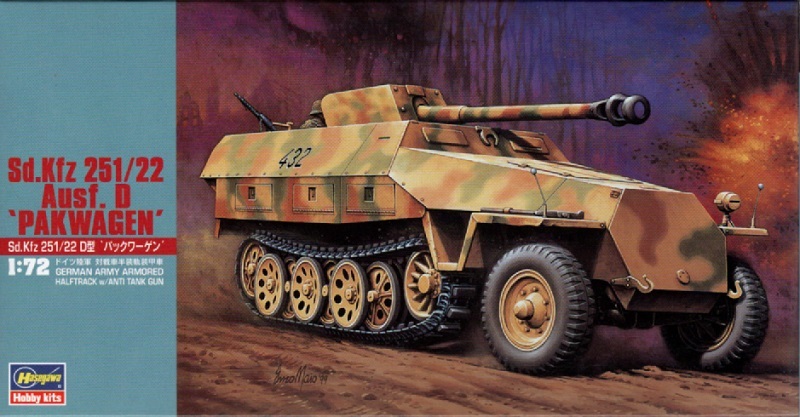 In the spring of 1939, the first fully armored halftrack to meet these requirements was developed and ordered into production under the nomenclature Sd.Kfz 251. 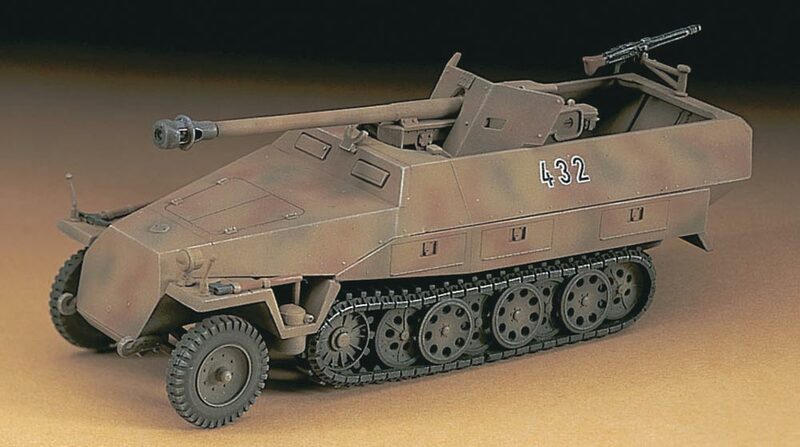 The Sd.Kfz 251/22 went into production starting in December 1944. In this design, everything was removed from the passenger/cargo cabin (except the left rear bench) to make room for the mounting of a 7.5cm Pak 40 anti-tank gun (without gun chassis).